A toolbox talk is an informal group discussion that focuses on a particular safety issue. These talks can be used daily to promote department safety culture as well as to facilitate health and safety discussions on job sites. A toolbox talk covers special topics on safety aspects related to the specific job. Similarly, a tailboard meeting is a safety meeting generally conducted at the job site prior to the commencement of a job or work shift. Job supervisors can draw attention to hazards, processes, equipment, tools, environment and materials to inform all workers of the risks in their surroundings. Toolbox talk meeting attendance is required for people who do the actual work of construction, and active participation is encouraged. Every reputable construction company ensures that these meetings are held regularly and are well documented. And there are many reasons for this. The first and foremost objective for toolbox talks is to make job sites safer. By engaging workers and sparking ideas and dialogue with the people closest to the potential hazards, upcoming tasks are put on the table for discussion. Cooperative pre-planning inspires safe approaches for potentially risky tasks. Toolbox talks also are the place for safety status updates, where the safety inspector, the superintendent’s team and the subcontractor’s foremen share information related to what they have been seeing in terms of safety on that particular job. The resulting meeting notes, topics and responsive actions are filed as documentation and can serve as evidence of a company’s concern for safety and compliance. Strong records of effective safety meetings are strong evidence of contractor’s reasonable care in negligence cases. Smartvid.io’s AI engine, nicknamed “Vinnie”, analyzes photos coming from construction management systems like Autodesk BIM 360, OxBlue site cameras, and Procore. Like a “virtual safety inspector,” Vinnie plugs into existing sources of photo and video data and automatically detects safety hazards on jobsites. Smartvid.io creates an automated safety risk assessment report that enables cross project benchmarking for leading risk indicators. A perfect fit for toolbox talks on safety. Smartvid.io as an agenda item at the toolbox talk adds valuable data about jobsite safety practices, making for more effective safety meetings and safer jobs. Vinnie's observations are objective -- as some customers say, "photos don't lie". Smartvid.io also helps because many workers prefer to learn using visual examples. And these examples can include best practices as well as specific hazards to avoid. Contractors who show they're acting on this available information are in a better position than contractors who turn a blind eye to data from their jobs. In fact, some companies, like Suffolk, are moving beyond the capability of using AI to make observations and beginning to use AI to predict the future. 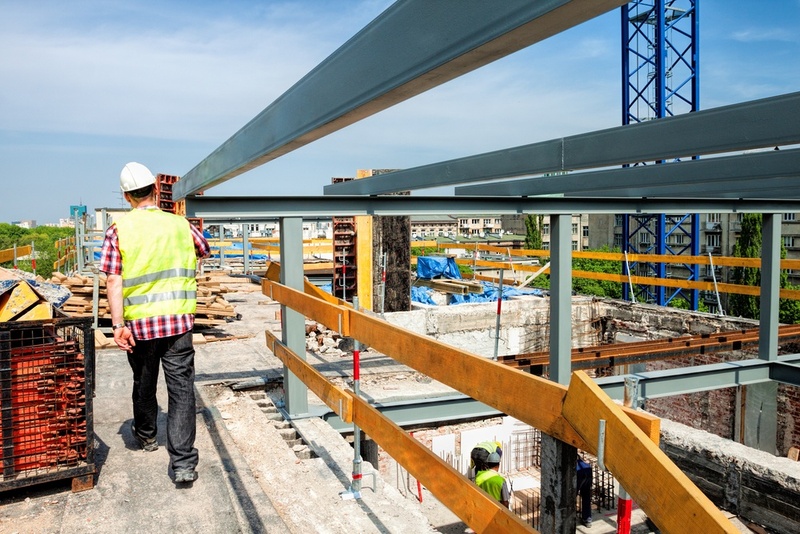 It’s a new frontier for construction safety risk management. In short, Smartvid.io brings new insights regarding critical safety practices and potential hazards for teams to consider and use in talking about safety on any particular job. With better information and focus on the most serious risk factors on each jobsite, contractors can continue to improve worker safety.